So, I’ll admit with no small amount of shame, I didn’t get around to playing Fire Emblem: Awakening until I saw the Lucina reveal trailer for Super Smash Bros. My more recent posts acknowledged my far-too-big video game backlog, and Fire Emblem: Awakening was just another game on that ever-increasing list. It wasn’t because I wasn’t looking forward to it (I love Fire Emblem! ), but more that I was hesitant to start another long JRPG. But I’m glad I took the plunge. I found out about Fire Emblem, like I suspect a lot of people did, through Marth and Roy in Super Smash Bros. Melee. Intrigued by these very anime-styled protagonists (and having a soft spot for blue hair), I asked for the Game Boy Advance game, simply called Fire Emblem, for Christmas and was very pleased to have gotten it. I played through the game obsessively, learning about all the characters, creating my army, and getting wholly invested in the storyline. I was sad to see that game come to an end, and was eager for more. I mean, what could be more compelling than this? But the other Fire Emblem games seemed to lack a certain something. I played Sacred Stones, and remember thinking it was only decent. I tried several times to play the Gamecube Path of Radiance, but grew bored before long with the bland animations and overlong cutscenes. None of the games seemed to capture the excitement of the original, and for a long time, I just stopped seeking them out. 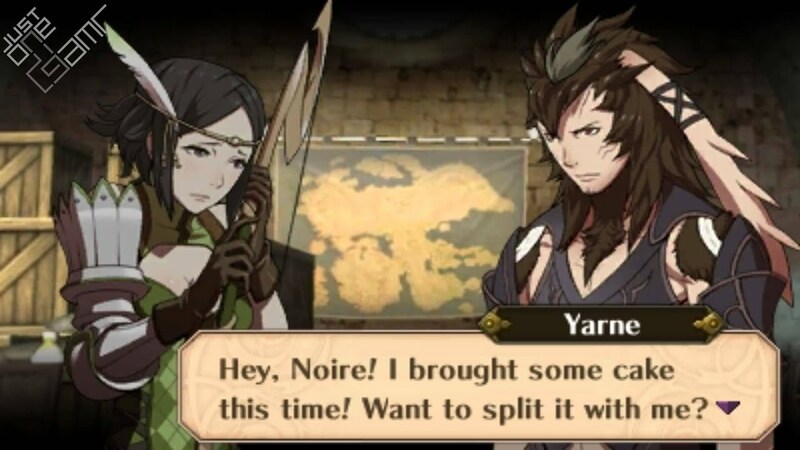 Fire Emblem: Awakening is the latest in the series, and it finally has that certain Je-Ne-Sais-Quoi that the other games lacked. I can’t exactly tell you what that is, but I can say that this game has it in spades. The game starts with you creating a kind of Avater to represent yourself in the game’s world. I made a pretty red-head named Athena. The customization objects are surprisingly robust, and I feel that I created a unique character that stood out in the game’s world. You have lots of hair styles, a few faces, and default poses to choose from. It works well. Athena and Chrom having a moment. The game begins with your character waking up to meet Chrom, a leader of a band of soldiers and future ruler of the land of Ylisse. Quickly, he realizes that your character is a good tactician, and invites you to join his merry band of misfits. It isn’t long before wars start, zombies appear, time-travel becomes a reality, and many many turn-based battles spring up over the world. And you right in the thick of it. Together with Chrom, you must lead your team to glorious victory, and save the world in the process. It sounds like a fairly typical JRPG storyline, and in a lot of ways, it is. But it’s also a pretty well-written one. Dialogue tends to feel natural, peppered with some old medieval English. The game, for the most part, finds natural reasons for battles to occur. And for a dark storyline, there’s a surprising amount of levity throughout, keeping the game from being too angsty. It’s a good ride. What problems there are tend to be minor (the time travel is never fully explored), and it does a good job keeping your interest until the end. What really sets this game apart from other Fire Emblem games is the characters. Like other games in the series, you meet and recruit people on your journey to fight with you. These characters tend to be one-note in past games, with one trait that seems to define them. This seems to be case in this game, as characters all seem to have their one trait (Sumia trips, Stahl likes to eat, Sully wants to be treated like a man, etc.). But, there is a stronger focus on support conversations now between characters, and that’s where more depth to each character comes in. They are all well-written, often funny, sometimes dark, and always make the characters feel more like real people. In past games, I remember myself creating personalities for the characters in my mind, but here, I don’t need to. For once, it’s right in front of me. Characters can now get married too, and this becomes a big part of gameplay. Two characters marry, and their stats can be passed down to their children. I chose who to marry purely based on the pairings I decided I liked most, but if the internet is any indication, there are some ideal pairings to make beastly children. This Fire Emblem game gives you a world map to explore, with the chance for random battles to appear. I have mixed feelings on this concept as a whole. On the one hand, it’s great if you want to grind and make your perfect team (I did do that), but on the other, it takes away from the difficulty. Past Fire Emblem games were stressful, because leveling up characters was challenging. You had only the story battles to do it, so you took great effort to make them all get a piece of the action. It works here, because there’s a greater focus on class customization, but I think I prefer the difficulty of past installments. Graphics are pretty sweet, too! The last new feature is the concept of pairing up, which replaces the “Rescue” feature in the past. In past games, if a character was in trouble, you could have another character “Rescue” them, or take them off the map and move them to safety. Here, you can have characters pair up. One character leads, while the other supports. Not only is this great for building relationships, but the support character also lends stats to the lead! There is never a reason not to do this, and while it means you’ll have fewer units to move, each will be considerably more powerful. It’s great for leveling, and for getting through tough battles. Whew! That’s a lot of stuff. I could go into more, but I think I’ll leave it at that. Suffice to say, this game is great. 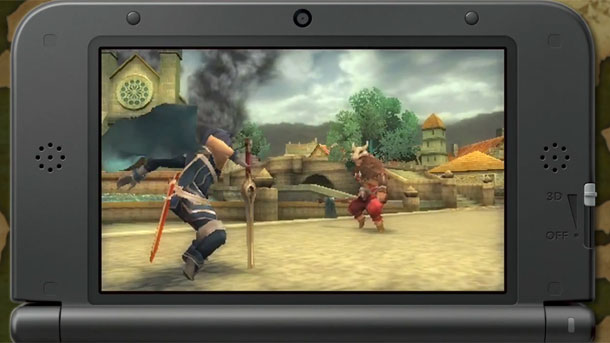 It has a lot of new features that refine the Fire Emblem experience, while keeping it familiar enough to fans like me. In a lot of ways, it feels like a Best Of game, as it takes all the good of past games, expands on it, and removes the bad. If the series continues in this direction, the future is very bright indeed. So, when are we going to hear about Shin Megami Tensei X Fire Emblem, huh?